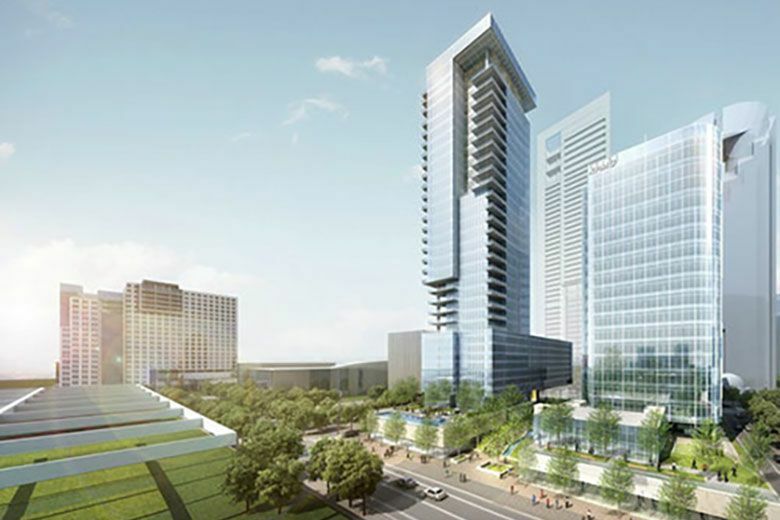 Dallas-based real estate developer Hall Group and Crescent Hotels & Resorts announced today the opening date of the highly-anticipated HALL Arts Hotel, which is currently under construction and set to open in the fall of 2019 in Dallas’ Arts District. The first hotel to open in the largest contiguous urban arts district in the nation, HALL Arts Hotel will channel the energy and vitality of the Dallas Arts District into an environment that celebrates the enriching, inspiring, transformative power of the arts. HALL Arts Hotel celebrates the power of creativity and diversity through a remarkable array of creative expression in art, architecture, and design. Emulating this spirit, curator Virginia Shore—former chief curator of the U.S. Department of State’s Arts in Embassies (AIE) Program—has commissioned domestic and international art to infuse the hotel with feeling and beauty, stimulating inspiring conversation and contemplation. To add a local touch, HALL Group led a juried photography competition for Dallas-based photographers, requesting submittals that captured the energy and life of the Dallas Arts District called ‘Through the Lens: Dallas Arts District’. The photography was reviewed by an esteemed jury and the winning photography will be featured in a coffee table book and sold throughout the district to raise money for the Dallas Arts District Foundation. In addition, select photography from the competition will be featured in HALL Arts Hotel rooms and hallways. HALL Arts Hotel will offer over 6,000 square feet of sophisticated meetings and events space, which include two multi-purpose salon spaces, the HALL Arts Boardroom and a one-of-kind 1,737 square foot ballroom, complemented with advanced technology. The only hotel event spaces in the Dallas Arts District, the location will be a sought-after destination for memorable weddings, celebrations and corporate events for up to 150 guests.